Luxury yachts, catamarans, cruisers and racing yachts demand high-performance finishes and quality products. Wrap It Marine specialise only in marine vinyl wrapping and branding using premium 3M* products. Whether you need to display corporate or sponsorship branding, want to stand out in the crowded charter market or simply choose to make a unique personal statement, vessel wraps deliver results. 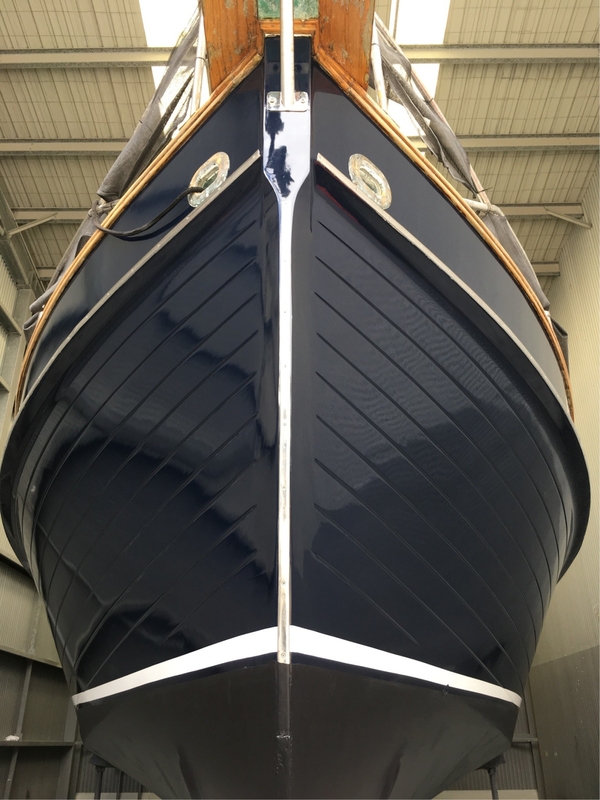 Cruiser and yacht wrapping is becoming the premium standard around the world, simply because it is a stylish, lightweight and durable alternative that can be applied with minimal downtime. Fill in the below form and we’ll call you as soon as possible. 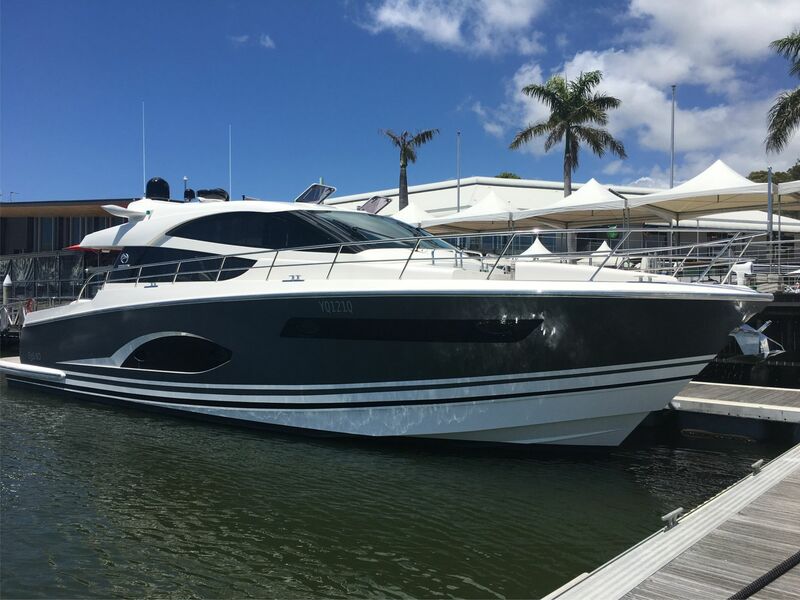 Exterior yacht wraps and cruiser wraps include large format branding, sponsorship or stunning graphics to the upper deck, pinstripes, hull bands and hull wraps. Unlike paint, vinyl never needs buffing or polishing, and never clouds, blooms or blushes. This means minimal maintenance and more time on the water for the owner or for running charters. 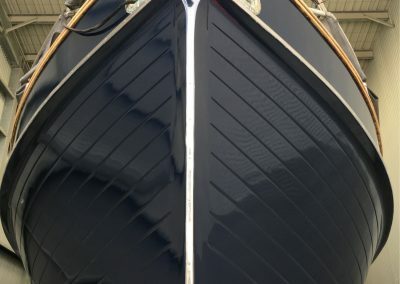 Vinyl wrapping also protects your underpinning gel coat or paintwork, allowing your yacht or cruiser to reflect changing design trends or colour preferences, and then easily returning to the original colour when selling. 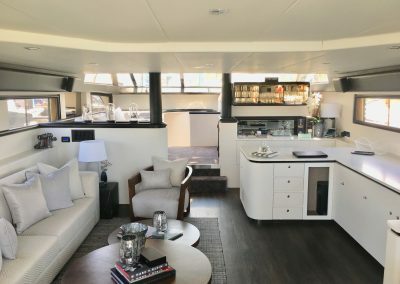 Yacht or cruiser interiors can be quickly transformed with marine grade, architectural vinyl finishes. Refurbish tired or dated areas pre-charter season or pre-sale. Change the colour of your interior to reflect new design trends. Allow your personality to shine through by exploring the latest colours, patterns or textures or have our graphic designers create unique wall graphics integrating your branding or photo imagery. Our specialised 3M Di-Noc Interior Coatings can be applied to furniture, dashboards and instrument panels, kick panels, walls, kitchens, bathrooms, doors, overhead panels and even showers. Interior vinyl coating requires no removal of furniture or items, which means a fast refurbishment at a fraction of the cost of a full refit. It resists mould, scratches and impacts, water and is easy to clean using standard detergents. We design and install highly durable vessel warning, directional and safety signage for luxury yachts and cruisers. By having your signage designed and installed at the same time you are wrapping or branding your vessel, you save time and money. 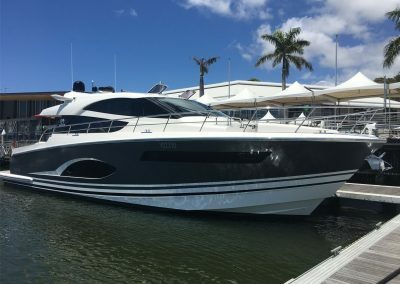 Moving around yachts or cruisers can be hazardous for passengers and crew. 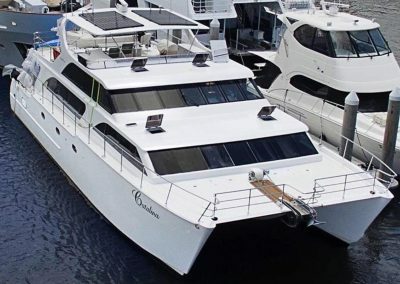 We install custom non-slip coatings for yacht cockpits, walkways, stairs, ramps, ship decks, bollard areas, and docks. Our 3M Safety-Walk* products have been tested and used by major military forces in the toughest seagoing conditions. The extra-large mineral particles in our coatings provide additional slip and fall protection, even when wet. * 3M, 3M Safety-Walk and 3M Di-Noc Interior Coatings are trademarks of 3M company.